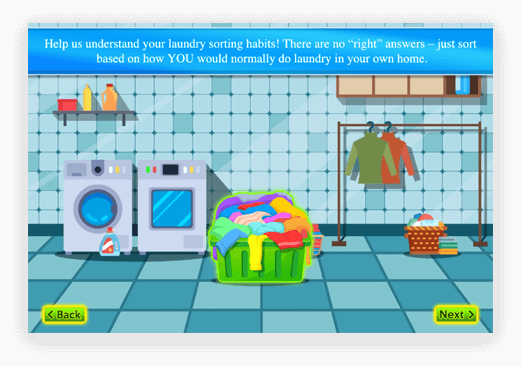 Want an app to survey about the laundry habits of users? Get the one like Laundry App. 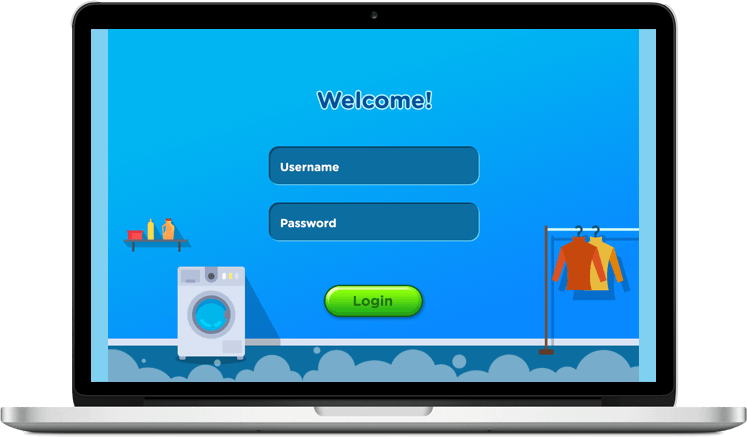 Laundry App is designed in a smart way to know more about the laundry habits of people. 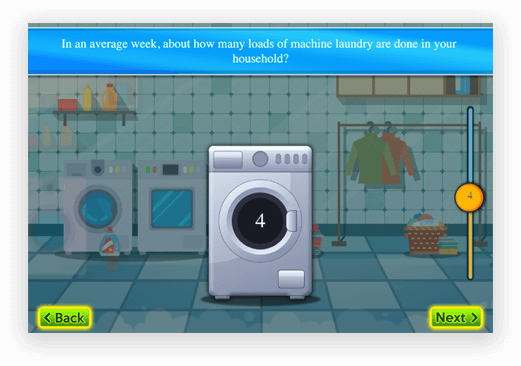 Based on standard web technologies, the Laundry App is created featuring MCQs to take a test for evaluating how household laundry is done. 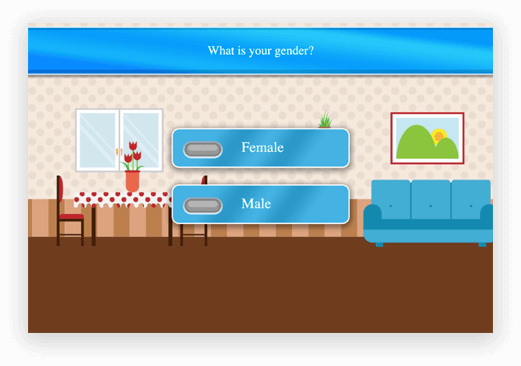 It is a software which collects users data in a fun manner. With a responsive web designate app ensures the best user experience. 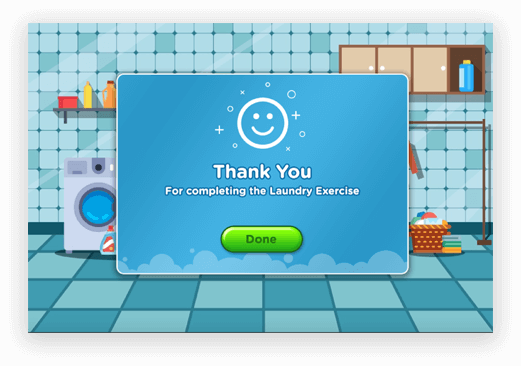 To let people know how to get their laundry done, the laundry app is a reliable choice with game elements. 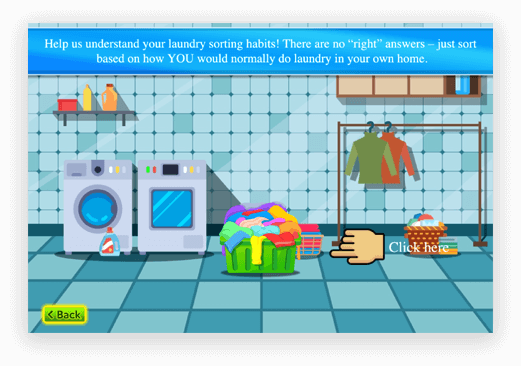 The game consists of a set of questions to be answered to find out your laundry choices in real life. 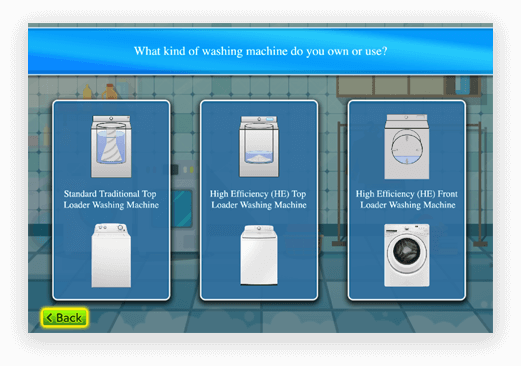 In general, a laundry app is a way to do a survey to encourage users. How Does Laundry App Work? 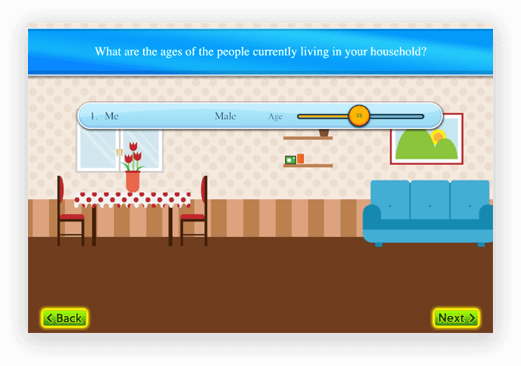 What are the ages of the people currently living in your household? How do you normally have your laundry done? What’s your choice of laundry products? What type of machine you are using? 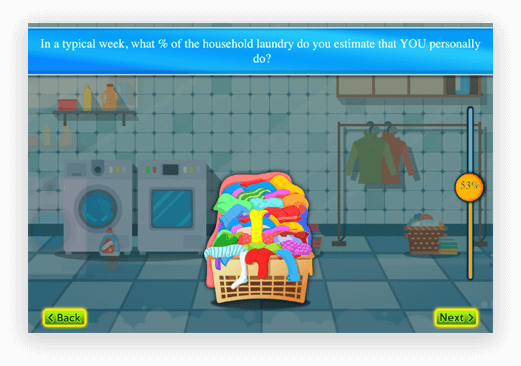 Apart, the game asks you an estimated percentage of household laundry that you personally do in a typical week. Additionally, the Laundry App introduces you with a number of questions that you need to pay attention to when planning your laundry. The sorting game in the app begins by clicking on the piles. From this step till the end, the game will have the same UI as a background. Simply create desired piles, name them to drag & drop the clothes accordingly. 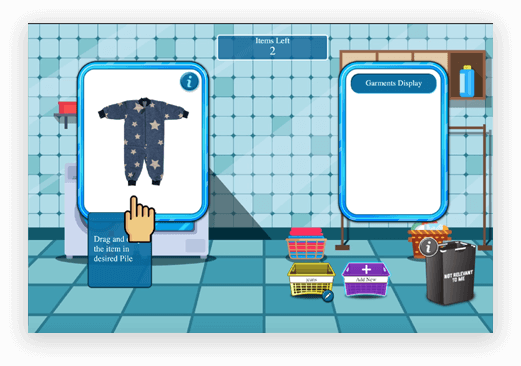 You can also relocate the clothes from one pile to another. Information key will help you review the clothes details. The discard list contains the clothes that you found irrelevant. From wash setting to water temperature you can set everything for your load. Once you are done with your washing choices, tick your confidence level from the options given. 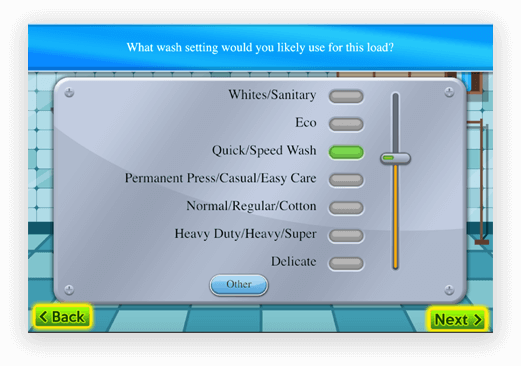 Rate your experience for being “Easy & Fun to Complete” & “A Good Representation of How I Make Laundry Choices in Real Life”. Lastly, indicate your willingness to participate in similar studies in the future. We help you get the best app or game for you. Get in touch with us.